Click here to see the TRX500 in action! Click here for our latest offers! New 2019 CRF Performance Launching Now! 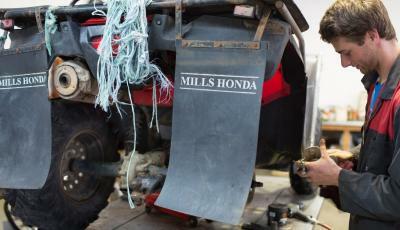 With over 40 years delivering continuous sales and service to the wider Central Hawke's Bay farming community, Mills Honda should be your first stop for all new and used Honda motorbike requirements. And remember, it's not just bikes we sell, we also stock all sorts of motorcycle equipment, apparel and accessories. Also, as a Stihl Shop we stock the complete range of Stihl Outdoor Power Products, so our committed team with their expert knowledge can help you our with all your power product needs. Dedicated to the motorcycle trade, we specialise in delivering quality service! Longitudinally mounted engine - Unique to Honda. This allows direct drive-shaft alignment to both front and rear wheels for maximum drive train efficiency. Our rock-solid system lets you choose either 2WD or 4WD, giving you the freedom to choose between lighter steering in 2WD or maximizing available traction in 4WD when you need it most. The STIHL name has stood for revolutionary technology and innovative ideas ever since the firm was founded. Throughout our 85-plus year history that has made us the name for state-of-the-art engineering. 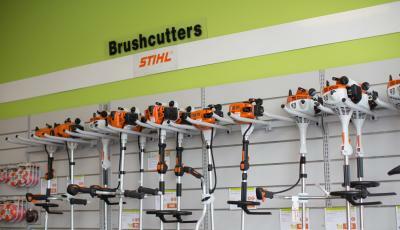 The STIHL brand is known round the world today for quality and service. In more than 160 countries our products are helping people at work - and that has made us a worldwide known chainsaw brand.